Every day I am thrilled to have the opportunity to be on the leading edge of ... See More healthcare innovation. A part of that leading edge is a full visual into transformative technologies and trends impacting the cardiovascular market. One trend that is beginning to cement itself as a rock-solid strategy is the evolution of the Cardiovascular Ambulatory Surgical Center (ASC). The Office Based Lab (OBL) has been a great strategy as an extension of practice, but moving into a recognized ASC facility (or creating a hybrid OBL/ASC) allows versatility and diversification if volumes or payment rates change over time, as they are sure to do across procedures and specialties. The history of the ASC has always favored an expanding scope of service. As operators, tools, and technology have advanced, it has consistently become a more cost-effective site of service for surgical procedures. In the cardiovascular domain the shift began with the approval of EP procedures a few short years ago and is continuing with the proposed addition of diagnostic coronary caths for 2019. Recently, Marc Toth of ACA Cardiovascular wrote an article in Cath Lab Digest called 6 Reasons CMS should cover PCI in the Ambulatory Setting. Its focus is on the positive benefits associated with: Safety, Patient Experience, Cost, CMS moving in this direction (more on that to come), Commercial payers already supporting this strategy, and Procedures in ASCs supporting the goals of ACOs and value-based models of care. The arguments made therein are certainly paving the way for an expansion of cardiovascular services in the ASC setting. 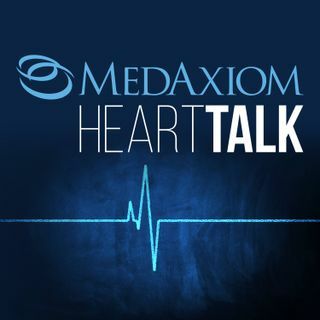 Another great article that features MedAxiom consultants (Anne Beekman and Jacob Turmell) and Mr. Toth, titled Developing an Ambulatory Strategy, was recently published in Cardiac Interventions Today. This article approaches ambulatory strategy from a Q&A perspective and includes thoughts and facts on the structure, development, and operations of an ASC through a cardiovascular lens. Definitely worth a read. About two weeks ago CMS released their Proposed Rule for ASCs and the path forward is becoming officially illuminated. CMS responded to input from stakeholders that certain procedures that are outside the CPT surgical range, but that are similar to surgical procedures currently covered in an ASC setting, should be ASC covered surgical procedures. More specifically, stakeholders recommended adding certain cardiovascular procedures to the ASC Covered Procedures List (CPL) due to their similarity to currently covered peripheral endovascular procedures in the surgical code range for surgery and cardiovascular systems. CMS then conducted a review of HCPCS codes that currently are paid under the OPPS, but not included on the ASC list of covered surgical procedures, and that met CMS’ proposed definition of surgery, to determine if changes in technology and/or medical practice affected the clinical appropriateness of these procedures for the ASC setting. Based on this review, CMS is proposing to update the list of ASC covered surgical procedures by adding 12 cardiac catheterization procedures to the list for CY 2019. CMS has determined that these 12 procedures are separately paid under the OPPS, would not be expected to pose a significant risk to beneficiary safety when performed in an ASC, and would not be expected to require active medical monitoring and care of the beneficiary at midnight following the procedure. It appears obvious that CMS is willing to tread into this domain with their eye on safety and cost to the system. One or two years of diagnostic cardiac procedures performed safely in the ASC should certainly open the door to coronary interventions in short order. We have seen this type of approval progression in other specialties such as orthopedics, which now does total joint replacements in the ASC setting. If a physician can replace hips and knees in an ASC, why shouldn’t a cardiologist be allowed to safely deploy a stent in an ASC? At MedAxiom, we want to keep you abreast of ambulatory strategies and promote the peer-to-peer learnings of those that include an ASC as a part of their ambulatory strategy. If you pursue this strategy, we’d like to hear how it’s working for you. If that’s not your program yet, we want to provide the education and information to help you evaluate the appropriateness of this strategy in your program. To that end we are hosting a webinar on the 2019 CMS Proposed Payment Schedule and what it means for your program on Tuesday, September 25, 2018 from 1 PM - 2 PM Eastern time. You can hold the date now and be on the lookout for a forthcoming invitation to register in the coming weeks. I hope to see you on the line for the webinar, and as always, we are here to help.